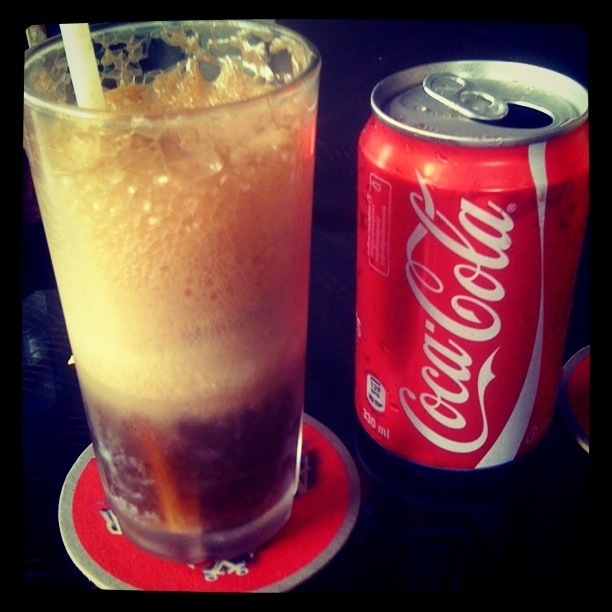 My first ever coke float… The verdict… Why have I never tried this before!? 03 Jun	This entry was published on 03/06/2012 at 06:15 and is filed under Uncategorized. Bookmark the permalink. Follow any comments here with the RSS feed for this post. I had the occasional cola float 40 years ago at a cafe opposite the central station when we were waiting for the all night bus !!!!!!! HAHA love it!!! they are pretty tasty and probably incredibly bad for you!!! Have never heard of one, what’s in it ? Coke and vanilla ice cream! Sounds horrible but try it! !